Potatoes come in various shapes, sizes and colors. By growing your own, you can guarantee a bumper crop of colorful and nutritious spuds. Potatoes are planted from seed potatoes, potato tubers that have sprouting buds on them. 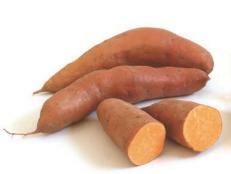 Use only certified seed potatoes as grocery-store potatoes can harbor diseases that may ruin an entire crop. 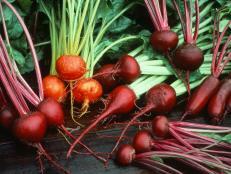 You can order certified seed potatoes from a catalog or buy them at a local garden center. 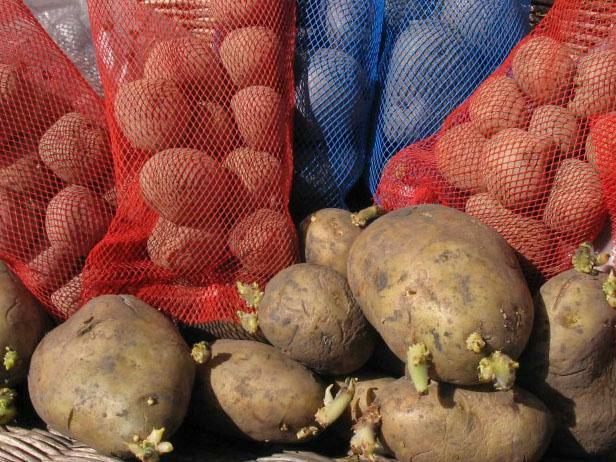 There are numerous potato varieties to choose from. About a week before planting, place the seed potatoes in a warm spot, somewhere that will reach between 60 and 70 degrees Fahrenheit. 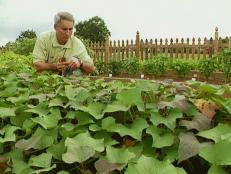 When the sprouts that for are about 1/4" to 1/2" long, the potatoes are almost ready to plant. 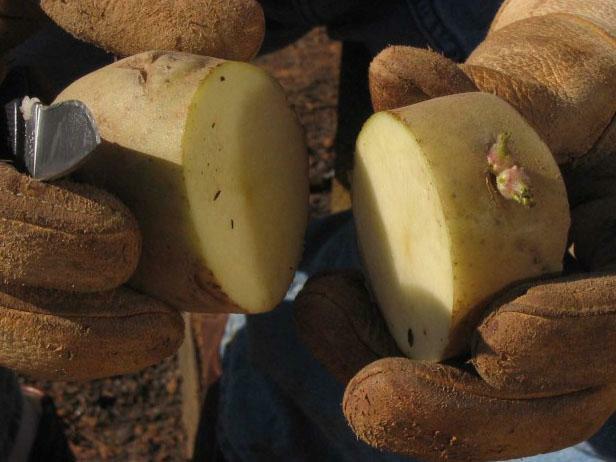 A few days before planting, cut large seed potatoes into smaller pieces about 2" wide. Each piece should have at least two buds. After cutting the potatoes, let them sit at room temperature for two or three days. 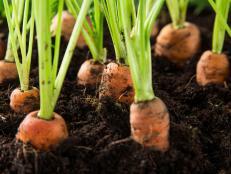 About a week before planting, place the seed potatoes in a warm spot, between 60 and 70 degrees Fahrenheit. When the sprouts that form are about 1/4" to 1/2" long, the potatoes are almost ready to plant. 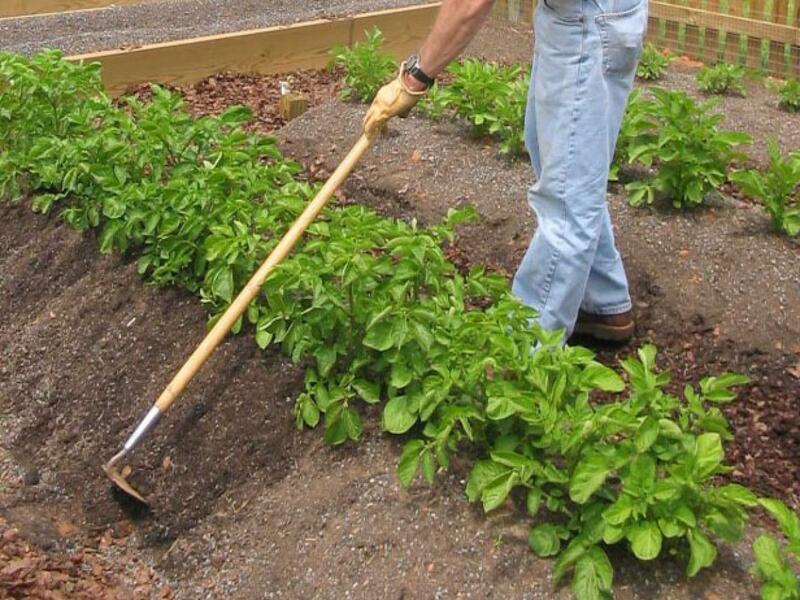 A few days before planting, cut large seed potatoes into chunks about 2" wide. Each piece should have at least two buds. After cutting the seed potatoes, let them sit at room temperature for two or three days. To grow thriving potatoes, they need plenty of sunshine and loose, loamy soil. 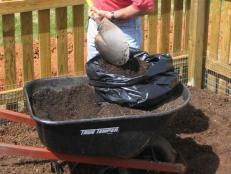 To plant, begin by amending the garden bed with compost soil conditioner to loosen the soil. 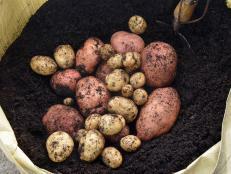 To grow well, potatoes need plenty of sunshine and loose, loamy soil. 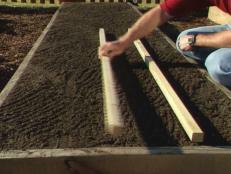 With a garden fork, work some compost or other garden conditioner into the garden bed. Add a 05-10-10 fertilizer at the recommended rate. Dust the seed potatoes with agricultural sulfur by putting a handful of sulfur in a paper bad, adding the potatoes and shaking them around. This protects your potatoes against fungal diseases. Dig holes 3" to 4" deep in hills 12" apart. Place the seed potatoes in the holes cut side down with the eyes pointing up. 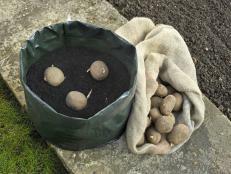 Cover the seed potatoes with soil and water well. Dust the seed potatoes with agricultural sulfur by putting a handful of sulfur in a paper bag, adding the potatoes and shaking them around. 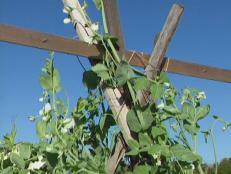 This protects against fungal diseases. Dig holes 3" to 4" deep in hills 12" apart. Place the seed potatoes in the holes cut side down with the eyes pointing up. 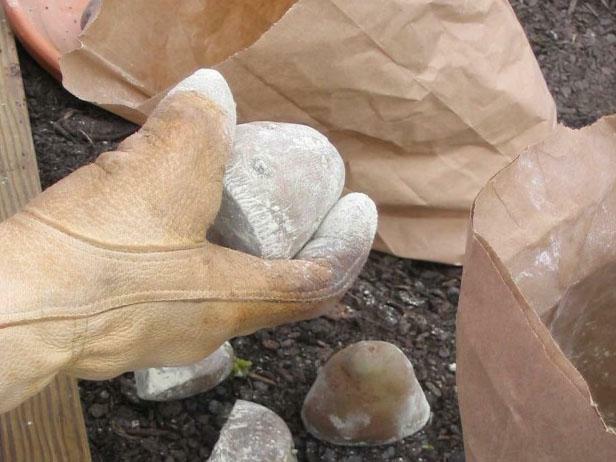 Cover the seed potatoes with of soil. Water well. About five weeks after planting, you should "hill" your potatoes. Simply pile soil around the stems. This forces new potatoes to grow to grow about the seed potatoes. It is ok to leave a few of the upper leaves exposed or to cover the entire plant. 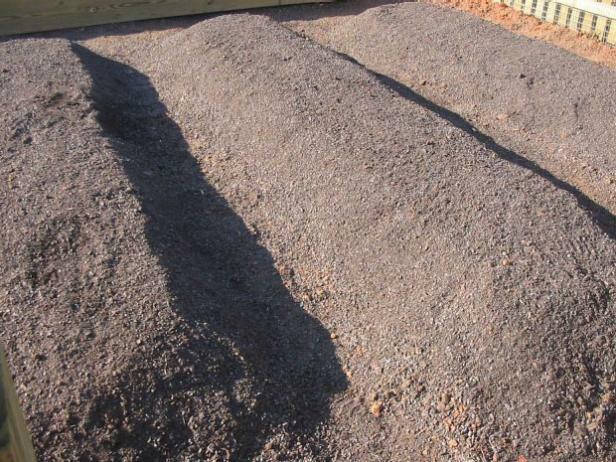 Be sure to hill often enough so that the new tubers aren't exposed to direct sun. About five weeks after planting, the potatoes should be "hilled." 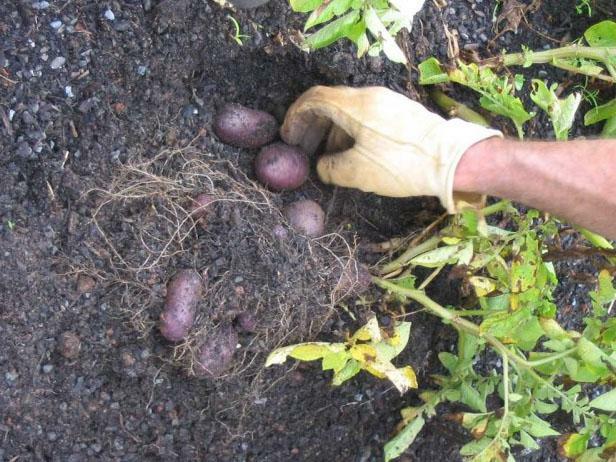 To hill potatoes, simply pile soil up around the stems. This forces new potatoes to grow above the seed potatoes planted earlier. When hilling, it is okay to leave a few of the upper leaves exposed or cover the entire plant. 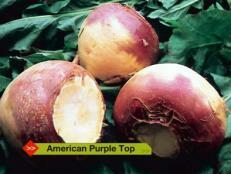 Hill frequently enough so that new tubers are never exposed to direct sun. Typically, potatoes mature in between 70 and 100 days. One indicator that the potatoes are almost ready to harvest is that the leaves will yellow and the foliage will die back. It's best to leave them in the ground for two to three weeks after this point so that their skins toughen a bit. 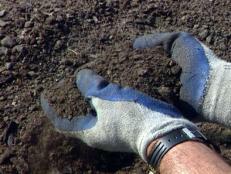 Use a pitch fork to loosen the soil, and then dig around with your hands. Once the potatoes have been dug out, brush off the excess soil. On average, potatoes mature in about 70 or 100-plus days. One clue that the potatoes are almost ready to harvest is that the leaves will yellow and the foliage will die back. It’s best to leave them in the ground for two or three weeks after this point so that their skins toughen up. Use a pitch fork and your hands to carefully dig them up. Brush off dirt, wash and enjoy potatoes immediately. To store potatoes for later use, place them in a dry spot to cure for another two weeks. After curing, sort through the potatoes and discard any that are soft or shriveled. 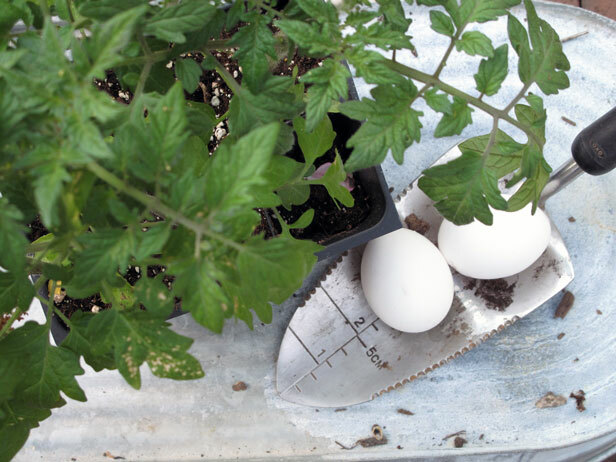 Place the rest in a cool, dry spot, where they should last for several months. Growing potatoes is easy and interesting. With some regard to seasonal temperatures in your area, all potato varieties are grown pretty much the same way.